Back in December 2014, Hayden Panettiere and fiancé Wladimir Klitschko welcomed daughter Kaya Evdokia into the world. Since then, it hasn’t been easy for Hayden, who’s openly dealt with postpartum depression – even though she feared talking about it at first. Now, to continue spreading awareness for this important women’s health issue, Hayden has revealed that she’s going back to rehab. 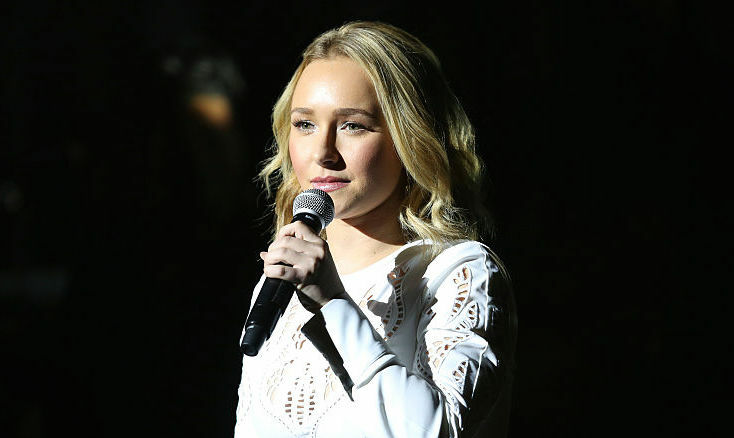 Last October, People reported that Panettiere entered rehab to get the help she needs. “If you think for one second that a mother wants to feel that way toward her child, you’re outta your mind. It is one of the most debilitating, scary, guilty feelings that you can ever feel,” Hayden told Yahoo. “That a mother would not be able to connect with their child, would not be able to get a grip, or would not know what’s going on, for anybody to say that it’s false or created by us, you must have your head examined.” And Hayden isn’t alone in this – Drew Barrymore, Teen Mom OG star Catelynn Lowell, Brooke Shields, Gwyneth Paltrow, and so many other celeb moms have dealt with postpartum depression. By taking the time to speak out about postpartum depression, Hayden has sent the message that it’s okay to ask for help – even if you’re a mom. Though she told People that she does feel a sense of guilt, that isn’t going to stop her from working to be the best mom she can be. After all, moms are people with needs, too. We’re so grateful that Hayden has taken the time to share her story. We can imagine that it will impact and inspire the 1 in 7 women who are currently coping with postpartum depression.